DB2 v11 introduced a new catalog table SYSIBM.SYSSTATFEEDBACK, which contains information about missing or conflicting catalog statistics for SQL statements [more info]. Some users are very cautious about collection of statistics, some others would rather prefer this process to be automatic. If you are part of the second group, this new feature is for you! However, the process is not fully automatic: DB2 will only fill the SYSSTATFEEDBACK catalog table with suggestions, when he/she thinks that executing RUNSTATS may be beneficial. During the last IDUG, when asked if there is any plan to “close the loop”, IBMers answered that there is no such plan. In other words, we should not expect this process to be automated by DB2 itself. The column STATS_FEEDBACK (in SYSIBM.SYSTABLES catalog table) controls whether the data is collected for a particular table (so you can exclude some specific tables from this process). When the recommended statistics are collected, the RUSNTATS utility removes data from the SYSIBM.SYSSTATFEEDBACK catalog table. 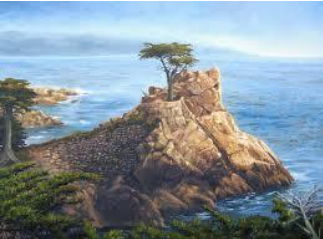 Cypress is the code name for the next DB2 for z/OS release after DB2 v11. Granting no hurricanes, or similar branding catastrophe, one can expect the official name will be DB2 v12 (when Generally Available) – hence the title of this article. A year and a half ago, I published a post DB2 v11 – expected timeframe & features which is, by far, the most visited article on this blog. My “predictions” were quite accurate, so I decided to re-iterate, providing you with an expected DB2 v12 timeframe (based on past releases dates), and a summary of the DB2 v12 “likely” features (based on information presented during various DB2 User Groups - including IDUG). Although IBM does not provide an exact schedule for their new versions of DB2, one can guess that DB2 v12 will be available in 2016, probably in Fall as usual. Indeed, looking at a the release schedule of DB2 over the last 15 years, you will notice that IBM releases consistently a new version of DB2 for z/OS every 3 years, and that the support of each version lasted 8 years – with the exception of DB2 version 8, which had an additional year of support. Worth mentioning as well, it’s no secret that the IBM development labs transitioned several years ago to an Agile development methodology. This method which tends to fix schedule (date of delivery) over amount of features delivered, and tends to make new version delivery cycles very predictable. What features can we expect? I will start with a word of caution: The following statements regarding IBM plans, directions, and intent are subject to change or withdrawal without notice at IBM’s sole discretion. In other words, the below information is “just” a summary of information collected either on the web, or during public session in various User Groups. One first thing to note is that IBM will not provide any skip-migration from DB2v10 to DB2v12. That means you need to be on DB2v11 in order to upgrade to DB2v12. Based on comments from IBMers, the skip-migration from DB2v8 to DBv10 was an exception, and we should not expect any skip-migration process in the future. IBMers did mention (during IDUG) that the APPLCOMPAT feature (available in DB2 v11) should continue to be available in next versions of DB2. In a nutshell, IBM is updating DB2 SQL to be more in line with SQL standards, and this may introduce problems for existing applications. APPLCOMPAT is here to help! You may remember a change in the DB2 DML SQL introduced in DB2 v10 that changed the results of the CHAR’s behavior when used to cast a decimal to a character or varchar (that is, any result of SQL using CAST (decimal AS CHAR) or CAST (decimal AS VARCHAR) may be different). 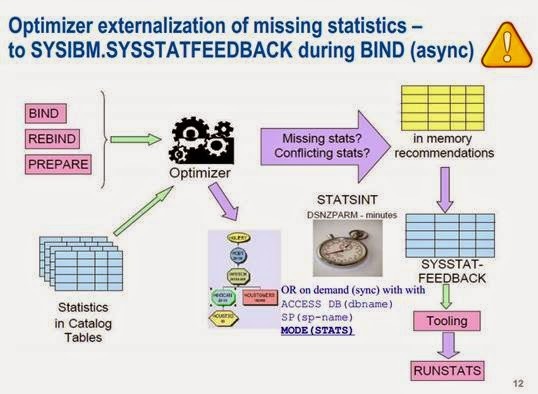 IBM soon introduced a DSNZPARM keyword BIF_COMPATIBILITY to let DB2 SQL behave the “good old” way and provided IFCID 366 to help monitor and locate the potential programs impacted (so application can be corrected). The only thing which did not work well was the Free Exams Certifications, many attendees were not able to benefit from this offer during the event, due to slow and/or malfunctioning internet connection in the certification room. In compensation, attendees were offered vouchers, to attempt the certifications at a later date. 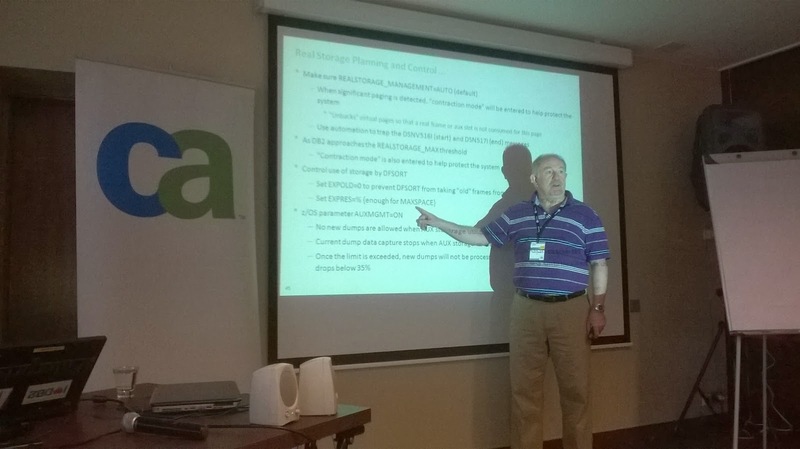 The next IDUG EMEA conference will be held in Dublin on 15-20 November 2015. IBM Champion Steve Thomas is the chairman for this event. Interested to attend? Act now! 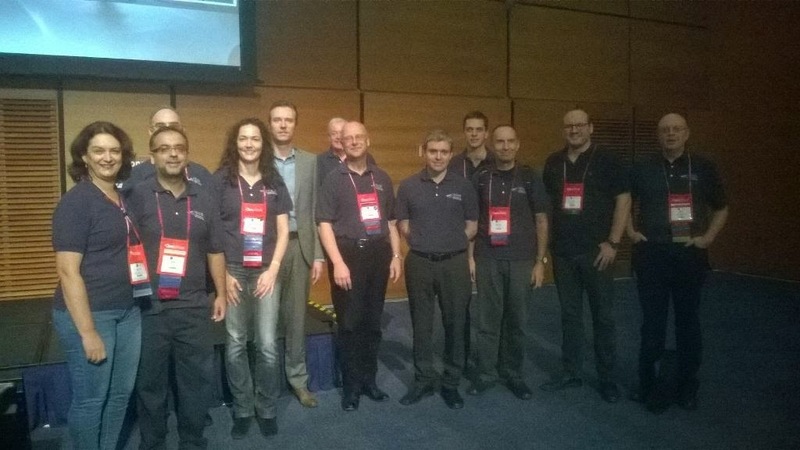 The call for presentation for next IDUG EMEA is opened! (if you are selected as a presenter, the conference fees are for free). 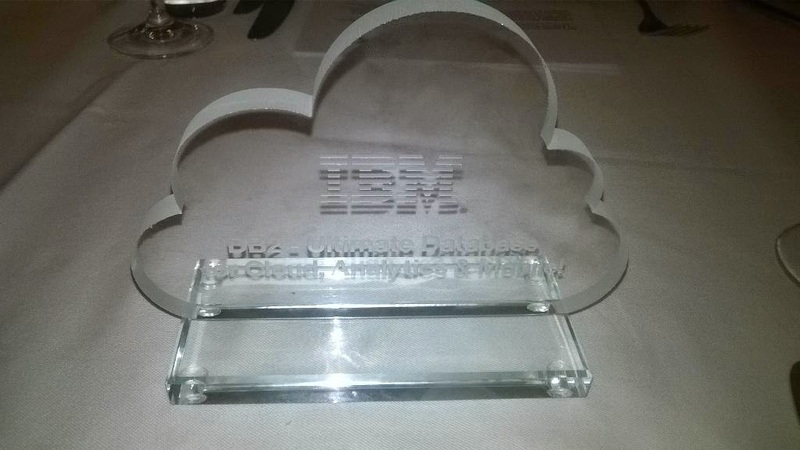 IBM recognized a handful of individuals and user groups for their DB2 activities and leadership, during the Mainframe50 celebration dinner: csDUG was rewarded as the new EMEA DB2 User Group! 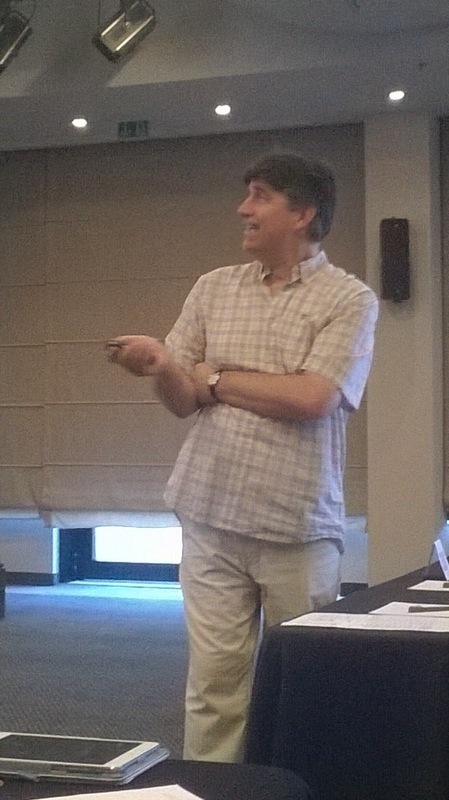 2nd csDUG Conference: A great success! 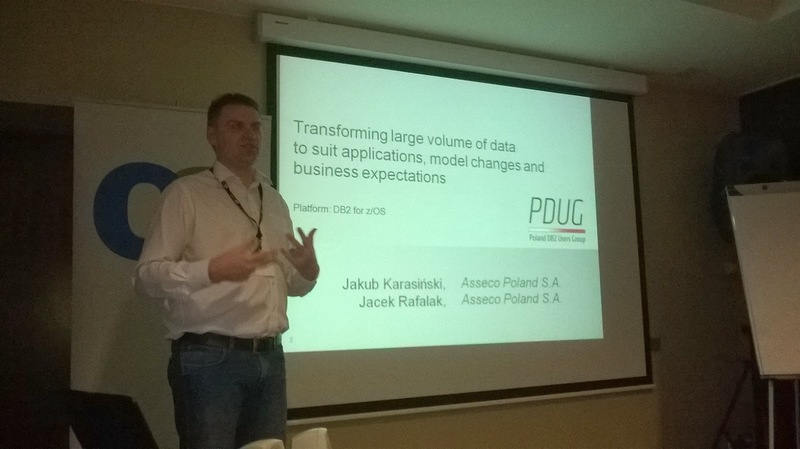 50 attendees from Czech Republic, Slovakia, and some other European countries attended the 2nd csDUG Conference earlier this week, in Prague. 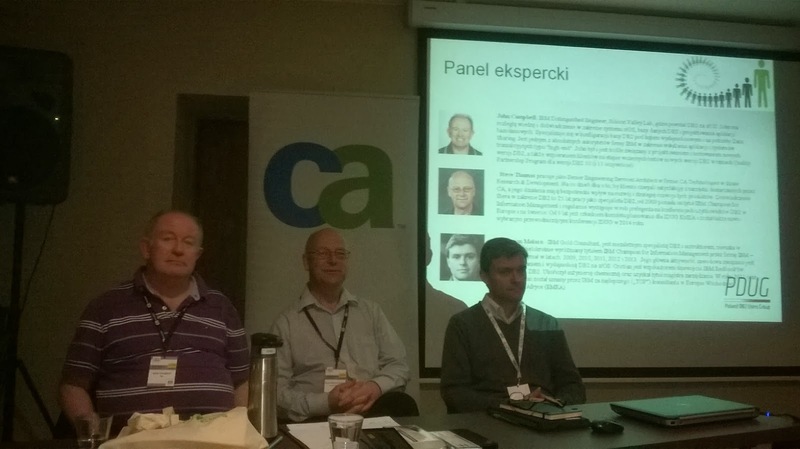 This one-day conference was held in the IBM lab in Prague, and sponsored by CA Technologies. Various famous international speakers made the trip to share their DB2 expertise and give presentations about DB2 for z/OS. The agenda of the conference is available [here]. The amount of DB2 workload that is coming from Java applications is growing. Java applications can run on z/OS but more often they run outside of z/OS. 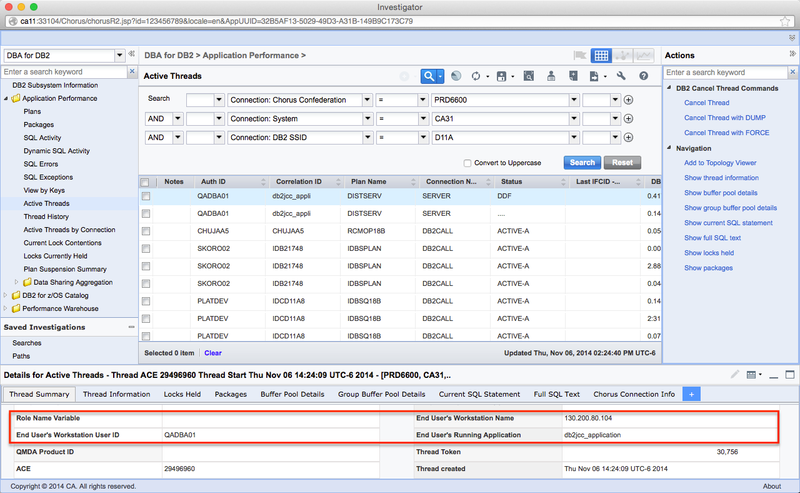 In this post we will cover how you can investigate DB2 threads that are processing SQL statements issued by a Java application. We will cover what is possible to do with standard DB2 commands and we will cover best practices for using JDBC that will make easier for database administrators to quickly identify the application that is responsible for the request. In future posts we will cover techniques for doing it without need to change the application code and how to get full information that can help developer to debug the code that is issuing SQL statements with poor performance. It can be a difficult task for complex applications and applications that are developed by different company. Let's have a simple Java application that connects to DB2. This application just issues a simple query that can take long time. You can increase the sleep value to make it run longer. It issues the query and it reads its result set slowly. If you want to try it, you have to replace userid, password and URL with values that are good for your system. Then you just need to compile it and run with the DB2 JDBC driver on your Java class path. This application can run for a while. Let's see what we can see in DB2 about it. Authid - if your application is using single userid to access DB2 and no other applications are using it, you can find out what application it is if you keep track of it. In case when every user of the application is also connecting to DB2 under its userid, you cannot use it to identify the application. Workstation - there is an IP address of the application server. This can be used to find the application but it is not easy for database administrator to find out what application is running on that server and there can be multiple applications on one server. SQL text - you can figure out the application from the tables that are used. That usually works for one statement but you cannot effectively aggregate performance metrics based on SQL text. So let's see what can be done by the Java application to identify itself better to DB2. We will start with standard JDBC properties and then we will cover DB2 specific properties. These properties can be set by Connection.setClientInfo(name, value) method. ApplicationName - The name of the application that is connected. DB2 will user first 32 characters. ClientUser - The name of the user that the application is performing work for. This should be the real end user ID and not the user ID that was used to establish the connection. ClientHostname - The hostname of the computer the application using the connection is running on. Hostname is better than just IP address. When the application is running on multiple servers it is good to provide different hostnames for each server so it is possible to identify the real server. Note: This is simple example that does not handle exceptions how it should. DB2 has two more properties in the client info that can be used. See Client info properties support by the IBM Data Server Driver for JDBC and SQLJ for full documentation. ClientAccountingInformation - This can be up to 200 characters long string with accounting information. The default is JCCversionclient-ip. You can see it in the output of -DISPLAY THREAD on line that starts with V441-ACCOUNTING=. ClientCorrelationToken - Unique value that allows you to correlate the logical unit of work in DB2 to your application. It was added in DB2 and it seems to be read-only. That is nice but as DB2 database administrator you cannot change the Java application code. In future post we will cover how to inject this information into any application without need to change the code and rebuild and redeploy the application. The identification of the application is a good first step but in reality you need more information about what part of the application was issuing the statement, for example full stack trace would be helpful. We will cover techniques for it as well in future. If you are a developer you should be using mentioned client info properties to make your application more friendly to database administrators. 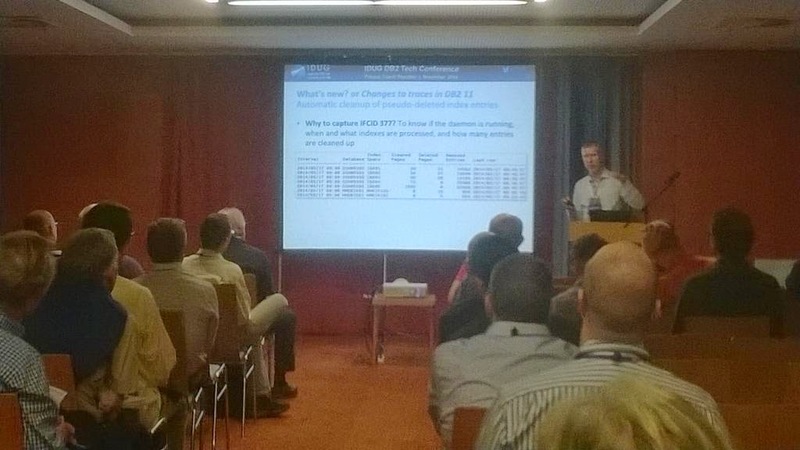 The Czech Republic and Slovakia DB2 Users Group (csDUG) is a new Regional User Group (RUG) that was created a year ago. On November 6th 2014, we will be hosting our SECOND csDUG EVENT, sponsored by IBM and CA Technologies ! --> Join the November 6 csDUG conference to listen to industry experts and network with other people interested in DB2! Please specify your name, country/language(s), job title, and company. 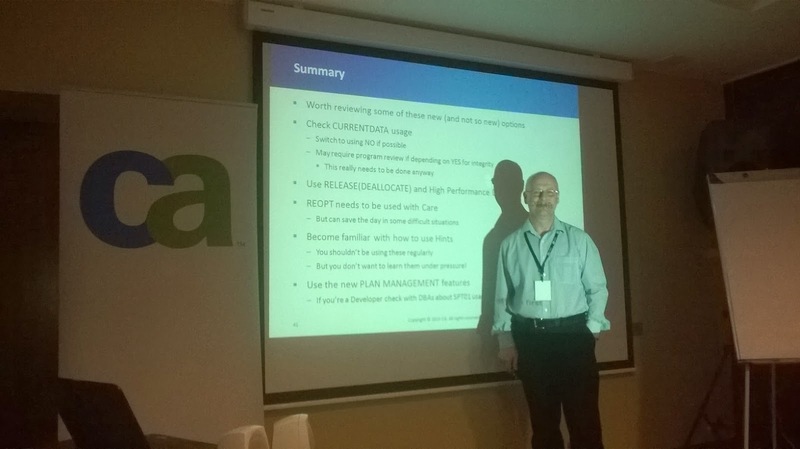 During SQL Adria conference, Namik Hrle (IBM Fellow) revealed some features that are likely to be delivered onto the DB2 Accelerator technology, hopefully soon. The DB2 Analytics Accelerator (formerly called IDAA) is an appliance that helps execute Business Intelligence (BI) queries much faster. DB2 for z/OS is built on an architecture that is optimized for transactional queries, but admittedly falls short when running complex analytics that nowadays business demands. 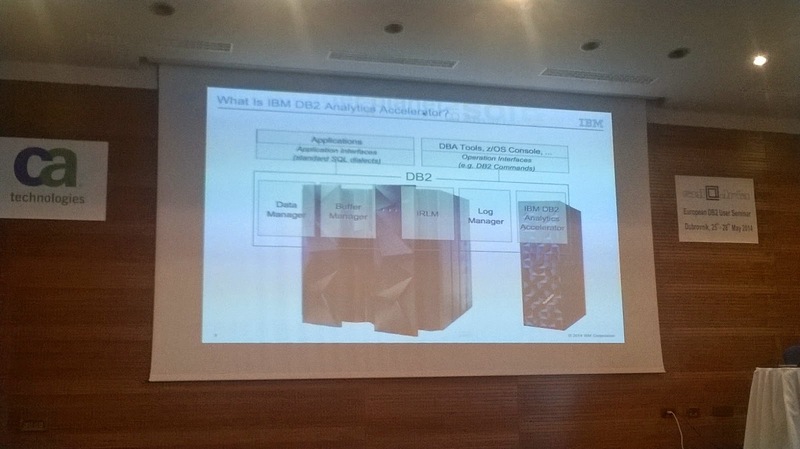 The DB2 Analytics Accelerator is the solution that IBM is pursuing to provide high-performance BI queries against DB2 data (almost) transparently.